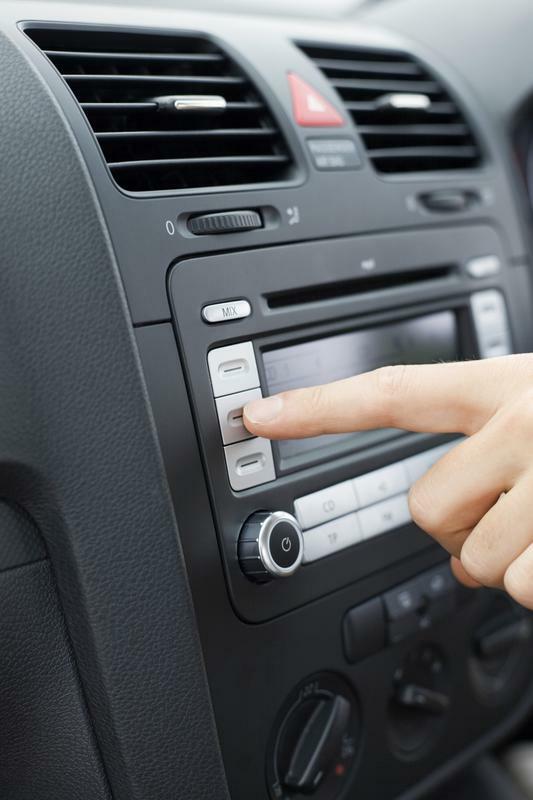 diagnose and repair these infotainment systems easily and efficiently. speech recognition incorporated into today’s vehicles. Nearly every manufacturer has taken on the MOST protocol approach to communicating with the various modules in their vehicles. So far, Audi, BMW, General Motors, Hyundai, Jaguar, Lancia, Land Rover, Mercedes-Benz, Porsche, Toyota, Volkswagen, SAAB, SKODA, SEAT and Volvo have gone with the MOST protocol systems. MOST is a registered trademark of the Standard Microsystems Corporation (“SMSC”), which is now owned by Microchip Technology. The MOST serial bus uses a daisy-chain or ring configuration to distribute audio, video, voice and data signals. These signals can travel on fiber optic circuits or by wire. Right now, the MOST system can handle up to 65 devices in the typical daisy chain configuration. None of the manufacturers have that many systems and modules on their MOST protocol communication lines as of yet, so there's plenty of room for growth and additional systems. The MOST system is an independent communication bus line which runs on a high-speed multimedia streaming data bus similar to other data bus lines used in today’s cars. Although, being a separate system it still needs some internal guidance and a way to make sure all of its functions are running smoothly, or more importantly, a way to show a fault when a problem occurs. This means that one module takes on the role of the bus ‘Master’. In the case of the MOST system, the ‘Master’ is the radio. As the Master, the radio starts the communication to the other ‘nodes’ (modules) on the bus and monitors any communication. This communication is transmitted on a twisted wire pair with the capability of sending that information at speeds up to 500Mb’s. A good way of visualizing the path way of this high speed data zooming on those twisted wire pairs is to think of it as a train and each module as the next station on its tracks. It can only go in one direction, it can’t skip over a station, and if the track is broken, or there’s something wrong at the station the train has to stop and reverse its direction back to the depot (radio). The data travels in a counterclockwise direction from the radio to the next module (or as we could say, the next station on the railroad tracks) and continues on its journey from one module to the next until it arrives back at the radio on its circular ‘ring’ track configuration. This is all accomplished as the radio pulls the 12 volt rest state voltage down for about 100ms in order to wake up each individual module. Once each module is awake, a series of data packs is loaded onto the train and continues in a counterclockwise direction through each module until it returns to the radio. The radio determines the module’s requests or status. The problems for the bus line start when the train doesn’t arrive back at the radio. Generally, the radio will attempt a communication signal at least 3 times with about a 2 second delay between each request for communication. If the signal isn’t returned or the information is incorrect (that old train doesn’t make it back) it’s the job of the radio to now set a DTC for the MOST bus. Once a DTC is set, the MOST system reverses the train’s direction. Instead of a counterclockwise direction, the train (data signals) are sent in a clockwise direction back down those same twisted pair of wires. Now it’s up to each of those train stations (modules or nodes) to respond over the MOST protocol. If the train encounters a problem it has to come to a complete stop. At this point any further communication can’t continue. Now an interesting diagnostic intervention can occur. This last train station that has reported “all clear” becomes the temporary ‘Master’ (surrogate) which will now send the train (data) counterclockwise back to the radio. In other words, the module furthest from the radio that was still communicating becomes the surrogate master. Radio=node 1, AMP=node 2, IC=node 3, HMI=node 4. The entire process takes about 10 seconds to complete. Obviously, the actual components (modules)and sequence of them on the vehicle you’re working on are probably different than the examples, but the concept is the same. Another thing to keep in mind is the use of the factory wiring diagram for the MOST systems. If you look at the wiring diagram, starting at the radio, follow the data bus line (twisted pair) in a counterclockwise loop. What you’re looking at is the actual individual modules as they would report by their number assigned to them. You can verify the numbering sequence in the diagnostic tests with the wiring diagram layout. Also, any optional components (modules) will be displayed on the factory diagram in a dash outlined box. Obviously, you wouldn’t count them on your train for the particular car you’re working on if they’re not included. The trouble code is set once the radio receives a response from the surrogate ‘master’ module. It will indicate to the radio that it did not receive a communication packet from the module upstream from it. Keep in mind, surrogate or not, the ‘Master’ is always signified by a “0”. Which will also indicate to you the direction of the communication flow. There is no “0” when in diagnostic mode. The module that is upstream from the surrogate master is where the problem actually is. It doesn’t eliminate the possibility of the problem being a wiring fault or connection issues or an internal module failure, but it does narrow down the possibilities and aides in the location and diagnosis of the failure. The actual location can be verified by checking the wire schematic while following along in a counterclockwise direction from the radio counting the modules and using the diagnostic mode to cross reference the numbering sequence of the individual modules still communicating. Hopefully, this little train ride through the MOST system gives you a clearly image of how the system is capable of diagnosing and displaying a trouble code. Even a blank screen can yield a code once you follow the scanning information and the pathways of the MOST train tracks. Keep that train a rollin' and Happy diagnostics!